Welcome to Bout Time Charters in Pensacola, Florida! Whether you are planning a vacation to the Gulf of Mexico or live here in paradise, it’s Bout Time you come fishing with us! A beautiful day on the Gulf waters is just a call away. At Bout Time Charter, we offer charters and guided inshore fishing along the gulf coast. From Destin and Navarre all the way to Orange Beach, Alabama, Bout Time Charters has you covered. We offer a variety of charters, from trips for first-time fishermen to experienced anglers. The Gulf of Mexico has a variety of fish to target, including speckled trout, redfish, flounder, sheepshead, blue fish and even sharks! We also offer tarpon trips and can target specific fish such as Spanish and king mackerel, grouper or amberjack. 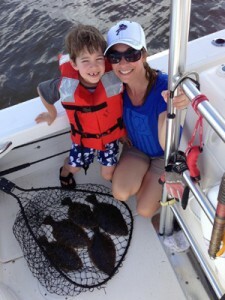 If fishing is not your thing, Bout Time Charters will show you a wonderful time on the water. We offer stunning sunset cruises in addition to our fishing charters. Watch dolphins play in Pensacola Pass or take a ride along historic Fort Pickens and Fort McCrae. Our top of the line charter is a great way to watch the Blue Angels fly during the air show! 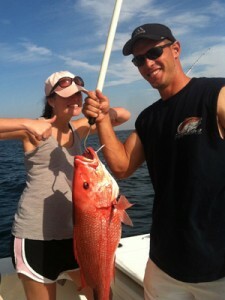 Bout Time Charters captain Brett Tennant has fished the Pensacola, Florida, area for more than two decades. With the best equipment powering Bout Time Charters, you are bound to have a great time on the Gulf. Eight Hour $900 – for offshore this is what we recommend! *Note: no offshore trips during small craft advisories or if seas exceed 3 ft. This is to ensure your safety and comfort! Find out more about booking a charter. 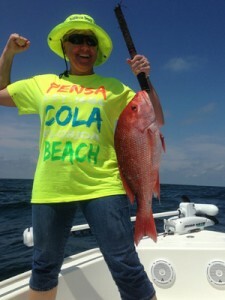 Contact us by phone or email to book your Pensacola, Florida, fishing charter today!